What gift is better for a dear friend than a tree that will grow with your friendship? This stunning kit comes with an Oriental Tea Tree bonsai, a dip tray, pruning scissors, bonsai feed, free care instructions and a porcelain 'Best Friend' heart tag. The full set of supplies and care booklet make this charming bonsai very easy to care for. The Oriental Tea Tree is a small, elegant bonsai that is ideal for an indoor accessory. 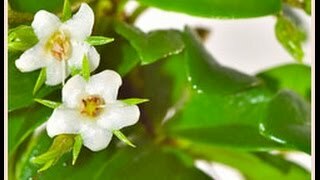 In the summer months, it blooms with delicate white flowers which compliment the waxy green foliage perfectly. I love this bonsai tree gift, with its elegant trunk, deep green glossy leaves and tiny white flowers. What could be more special than including a pretty porcelain heart with the words 'Best Friend' upon it.